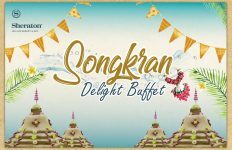 Guests can bask on one the world’s most picturesque beaches, dine on Thai delicacies and experience a spa treatment without stepping foot off the Resort. 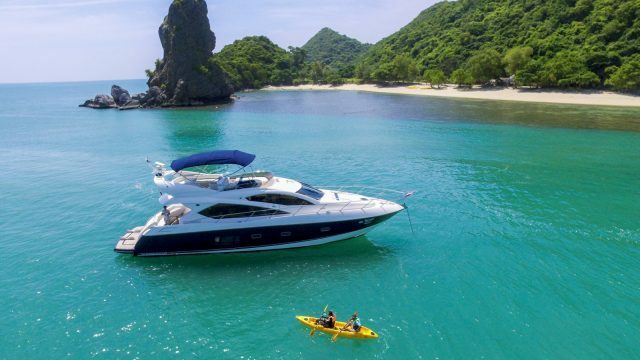 “But if you would like to explore further afield, the Resort’s palatial 20-metre (65 foot) luxury yacht Minor Affair offers the very best explorations of the Gulf of Thailand,” Kantinan adds. Guests can cruise the sparkling waters of Angthong National Marine Park in the Resort’s Sunseeker Manhattan 60 vessel, while visiting deserted beaches, rainforest-fringed islands and colourful marine life. Swim, snorkel and sunbathe all day before a chef-prepared barbecue on a private beach and a restful night in a comfortable stateroom. “There’s nothing better than the sunset champagne cruise to surprise loved ones, as the sun disappear behind palm-covered tropical islands and another perfect day in paradise,” she shares. 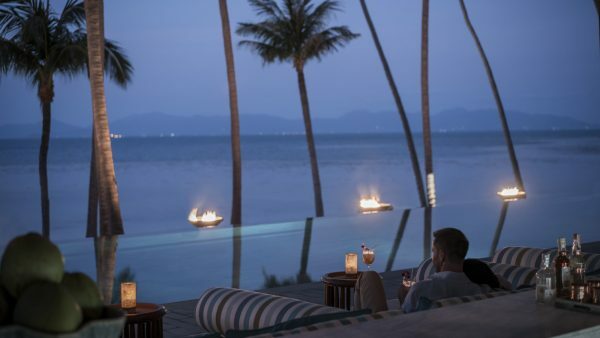 A fine dining experience in the comfort and convenience of the guest villa is as private and romantic as a Once in a Blue Moon dinner for two, surrounded by the shade of palm trees and the gentle sound of waves. 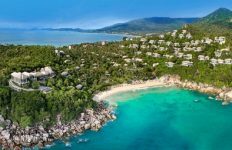 Guests can indulge a romantic dinner for two at Resort’s private cove, with a menu curated specially for the occasion, paired with wines and aphrodisiacs to celebrate the love for the island life. “No one has ever said ‘no’ to the question ‘will you marry me’ when they have proposed marriage at this dinner,” she quips. “Siam Lovers is a luscious ritual combining homegrown herbs and the harmonious hands of four therapists,” says Kantinan. 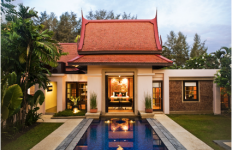 Starting with a coconut and jasmine rice scrub, followed by Earth Energy Four Hands massage, guests can choose to have the coconut and rose bath in the Spa’s al fresco setting, or in the privacy of their villa.